Type your Safmarine tracking number below, get live delivery information with our express tracking system. Safmarine (Safmarine Container Lines N.V.) is an international shipping business offering container and break-bulk shipping services worldwide. Formed in 1946 by South African industrialists and American ship owners, Safmarine is now widely known as a north/south trade and African specialist. The line is represented in more than 130 countries throughout the world, with more than 1200 sailors selling their services. Safmarine has been headquartered and registered in Antwerp, Belgium, since 1996, when it completed its acquisition of the Belgian container line, CMBT, which in turn had been an outgrowth of CMB. In 1999, Safmarine was bought by the Danish company A.P. Moller-Maersk Group, and Maersk chose to retain the Safmarine brand rather than integrating it wholly into Maersk Sealand. In 2002, Safmarine acquired Torm Lines. If you have problem with our container tracking system, please track your container directly on the Safmarine website. If you get no tracking information from Safmarine official website, you’d better contact Safmarine. When you ship with Safmarine, you will get a Safmarine container tracking number with format SAMU1234567, SAMU is Safmarine’s prefix. Safmarine has two prefix: SAMU and CMBU. 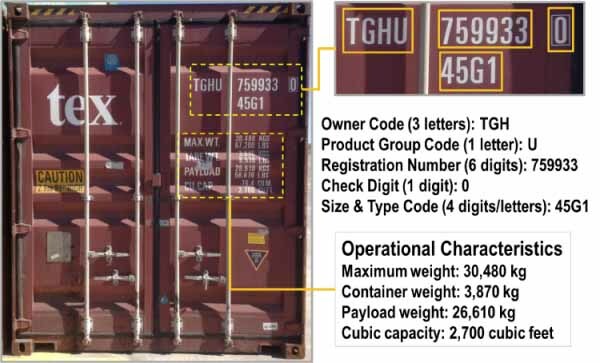 Know more Safmarine container tracking number information from below picture. If you have problem with our Safmarine Tracking system, submit your problem here, we will help you as soon as possible. Declare: We can NOT contact carrier or others on your behalf, we can only help you track your package with your Safmarine tracking number on official tracking system.